I apologize to my fans. Every single three of you who hung in during my four-months of blog neglect. If there is a hell for fallen bloggers, I suppose I’m headed down there, so confession might redeem my soul. Here goes my “Act of Contrition.” “The Devil made me do it.” Actually, the devil was nowhere in the mix. My excuses are other writing, yard work, gardening and maternity leave. The other writing involves the biography of a wonderful 90-year-young local woman commissioned by her daughter. Lola’s story contains all of the elements of a great character-driven novel: love, tragedy, happy and sad times, thrills and spills, struggles, accomplishments, unlimited courage through the difficulties of life and appreciation for the joys around her, including her children, grandchildren and great-grandchildren. It should be a best seller. Yard work and gardening are what old women do while wearing big funny hats. Shirley McClain said something like that in the movie Steel Magnolias, although she may have specified elderly “southern” women. I once agreed with that cliché. Now I know that old is a frame of mind, hats drive me crazy and I love the feel of the sun on the top of my hatless head. 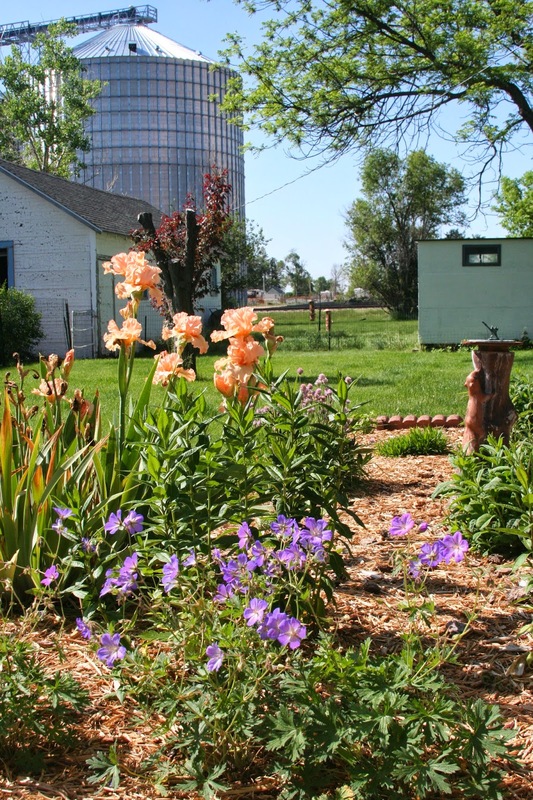 Also, the exercise involved in yard work actually keeps one young and gardening offers a chance to play in the mud without accusations about going through one’s second childhood. The maternity leave started earlier than expected because little Evan Dean opted to play head games with his expectant mother. Before I get into that, however, perhaps I should explain why a woman of my age would be dealing with maternity leave in the first place. It so happens that when I sold my weekly newspaper at the end of 2010, the two young women who purchased it negotiated maternity leaves into the contract. In other words, I had to agree to work when and/or if they needed time off to add to the population. They both chose this year to collect on that promise. Spring was due to deliver on May 3 and Candie is due on July 18. I question whether their husbands, Jeremy and Ron, knew about this conceived plot ahead of time. Evan Dean came up with his own plan, however, arriving on Easter Sunday, April 20. I started my first maternity leave on Friday, April 18 and ended it on Friday, May 30. My next maternity leave should start on July 18, but I’ve learned to expect the unexpected and relish my patio while I can. 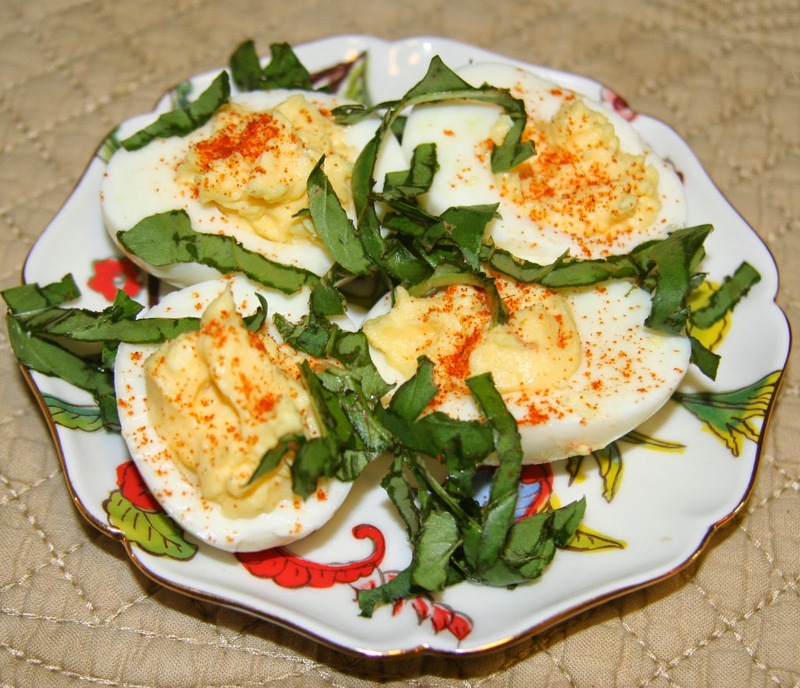 Speaking of summer and being outside, one of my favorite summertime foods has always been a deviled egg even though the taste of each can vary with the cook. At a recent potluck at my church for instance, another woman and I both showed up with deviled eggs; her’s a mustardy delight, mine with a more traditional sweet tartness. We both went home with empty platters, proving the point that nearly everyone loves a deviled egg of any flavor. One answer to deviling eggs one or two at a time for singles and/or couples is to premix a sauce to add as needed to the mashed yolks. My recipe makes the traditional sweet-tart flavor, but you can add more mustard or other flavors to suit your own taste (Although be cautious about what you add if you plan to store for a long period of time). Place all ingredients in a bowl and whisk together until well mixed. Store indefinitely in a covered glass container in the refrigerator. Note: You can also use this sauce in small amounts of potato or tuna salad. Place the number of eggs you wish in a saucepan and add cold water to ½ inch above eggs. Bring to boil uncovered over medium-high heat. As soon as water boils, remove saucepan from heat, cover and allow to sit for 10 minutes. Pour off hot water and cover eggs with ice water. Allow to sit until completely cooled before peeling. Peel eggs, slice in half, remove yolks to a small bowl and mash with a fork. Add approximately ½ tablespoon of sauce for each egg yolk or more to get the consistency you want. Season with more salt and add pepper if you wish. Spoon the filling back into the egg white and sprinkle with paprika or garnish with slivered Basil or minced dill leaves.